On Tuesday night, I went to Anyone Comics in Crown Heights (Brooklyn) to draw Cassie, a cosplayer who modeled for us as the DC Arroverse superhero Black Canary. 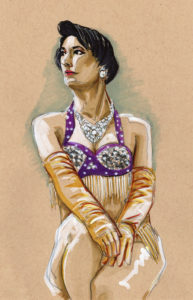 On Thursday, it was a “Mardi Gras” themed Sketch Night at Society of Illustrators with burlesque performer Apathy Angel. 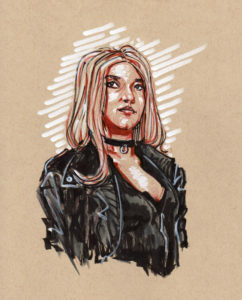 Cassie (Black Canary) – markers, ink, red pencil on toned tan paper. 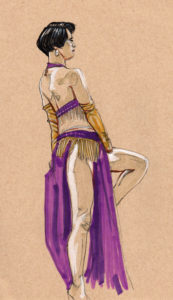 Apathy Angel (Mardi Gras) – markers, pen and pencil on toned tan paper.